According to legend, the devil found the herb Scabious in Paradise, envied the good it may do the human race, so bit away a part of the root in an effort to destroy the plant. It survived with a stumpy root anyway, and has since been said to protect against evil as well as attracting bees and butterflies. 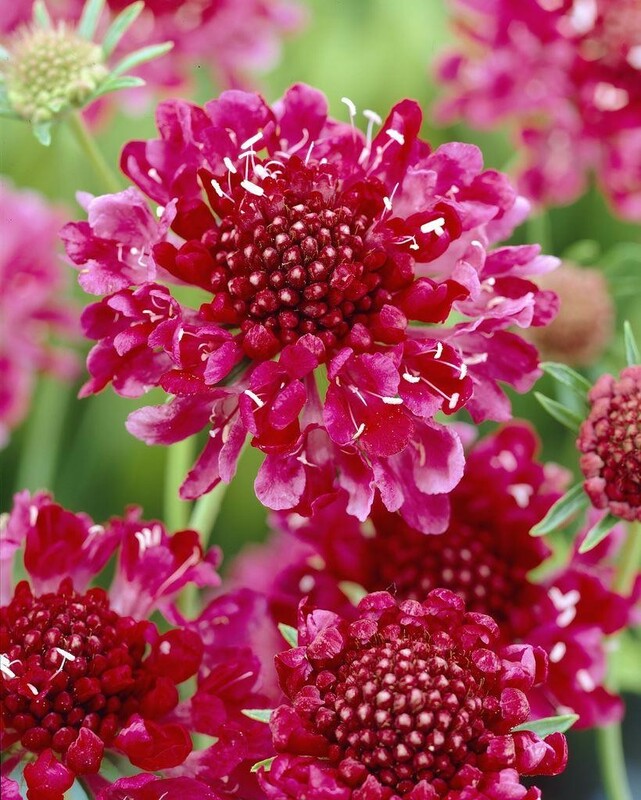 The pincushion flowers appear from early summer to autumn and are good for cutting. Prefers well-drained soil in full sun. Supplied in approx 3 litre containers.